A senior trial lawyer, Catherine represents corporations in high-level, employment-related litigation in both state and federal courts nationwide. She regularly advises Fortune 500 companies, family-owned businesses, law firms, universities and nonprofit organizations about practical strategies for navigating complex employment and discrimination issues. 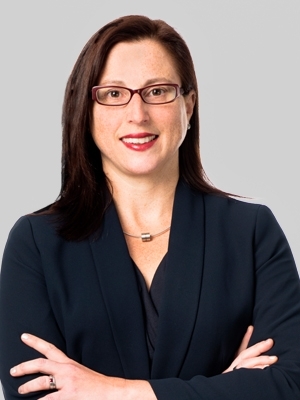 As Regional Practice Leader of Fox Rothschild’s Labor and Employment Department, Catherine has extensive experience in a full range of employment matters, including discrimination, harassment and wrongful termination suits, restrictive covenant litigation, wage and hour compliance, whistleblower matters and counseling and litigation avoidance. For many years, she has been named a “Super Lawyer” and “Rising Star” by Philadelphia Magazine and Law and Politics Magazine. She was also recognized as a “2010 Lawyer on the Fast Track” by The Legal Intelligencer. Catherine serves as a Trustee of the Women’s Law Project and is a Past Chair of its Board. She also is a member of the Board of Directors of Women’s Way and the Corporate Executive Board of The Philadelphia Museum of Art. Catherine is Co-Chair of the firm’s Partnership Advancement Committee and a member of the Diversity Committee and the Steering Committee of the firm’s Women’s Initiative. She is a former Hiring Partner of the firm and a former Chair of its Recruitment Committee. As an avid author and speaker, Catherine lectures regularly to attorneys, human resource professionals and executives on disability and accommodation issues, managing leave under the Family and Medical Leave Act and responding to harassment complaints. At the University of Pennsylvania Law School, Catherine received the Herman Lazarus Prize for Labor and Employment Law and was the Editor-in-Chief of the Comparative Labor Law Journal.